Under pressure from the netizens, the Yang di-Pertuan Agong Sultan Muhammad V (the King) finally agreed on the appointment of Tommy Thomas as the Attorney General of Malaysia. The people, with great hope for a better Malaysia, finally get to taste the real meaning of peoples’ power. And like Donald Trump, hopefully the people will not get sick and tired of “winning”. In the same breath, Mahathir must be enjoying himself very much too. The 93-year-old man now realises how it feels to be on the other side, being the good guy instead of the bad guy he was. His meticulous and brilliant leadership – once as the so-called dictator from 1981 to 2003 and now as the peoples’ hero – should send a shivering message down his enemies’ spine. 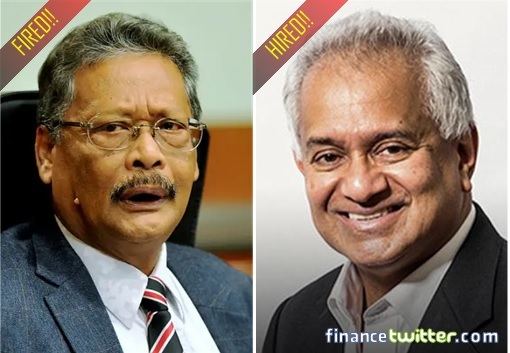 The firing of Apandi Ali and hiring of Tommy Thomas should be an easy process. The hiccup should not have had happened in the first place. But the palace somehow, either was ill-advised or deliberately, had chosen to play politics. To save face, the monarchy now says the appointment would still continue to uphold the special privileges of the Malays as well as Islam as the religion of the Federation.